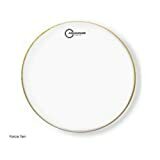 An extremely thick drumhead with a controlled and focused sound, the Aquarian Force Ten Clear is designed to take a beating – play it hard and loud. The Aquarian Force Ten Clear is made with two plies of clear 10mil film. 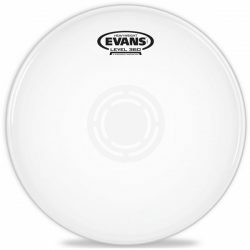 At 20mil total thickness, this is a very thick drumhead that has excellent durability. 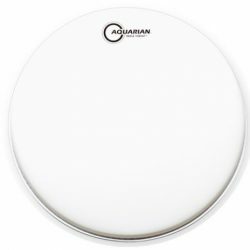 The Aquarian Force Ten is designed to be hit hard and played loud, and this drumhead can produce a big sound to ensure your drums are heard. Sound-wise, the thick construction means that the sustain is kept short, and overtones are minimized. After a big initial attack, the Aquarian Force Ten Clear will give you a short, deep and warm tone. 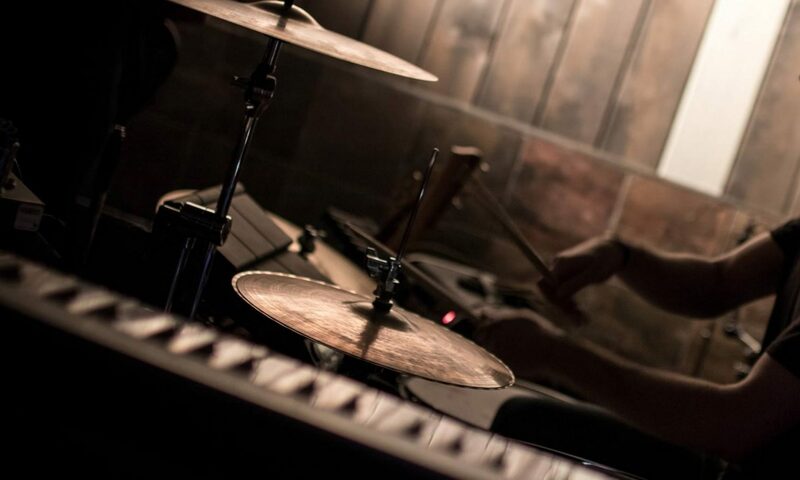 When used on toms, the overall sound is focused and punchy. 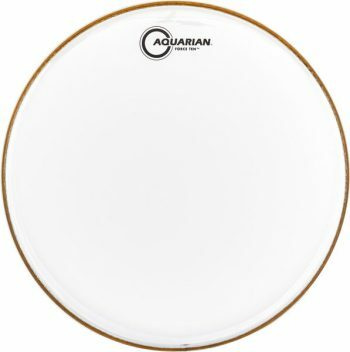 With snare drums, the Aquarian Force Ten can produce a big cracking sound, especially when hit hard. 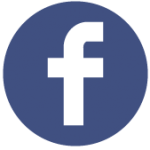 Tuned low, the overall sound is deep, punchy, and fat. When tuned higher, the sound becomes very cutting. The Aquarian Force Ten Clear will give you the attack needed to cut through in loud environments. The Clear Force Ten has a slightly brighter attack than the Coated Force Ten, although both of these drumheads are still very far towards the warm side of the sound spectrum. Compared to the coated version, the brighter attack of the Aquarian Force Ten Clear will cut through better in extremely loud environments. 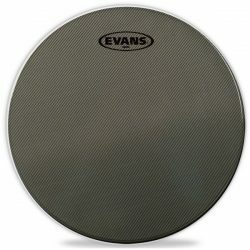 If you’re worried about your drums being heard, you can lay into these drumheads to get a huge sound. 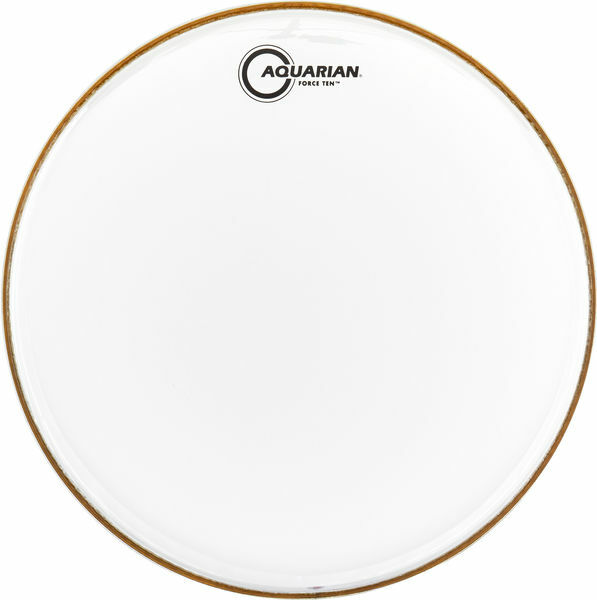 The very thick design means that the Aquarian Force Ten Clear can handle very hard hitting. 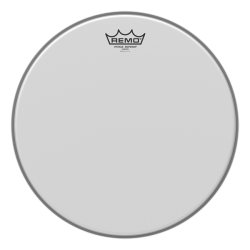 If you’re constantly going through drumheads due to heavy playing, the Force Ten is a great option. Big rimshots are handled with ease, and a huge sound can be produced when you really lay into these heads. Note that the thick design means the Force Ten is not very responsive to light playing or low volume drumming. 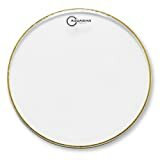 This is a drumhead designed to be hit hard. 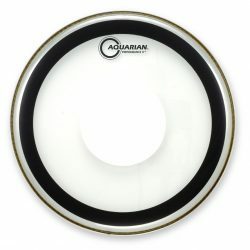 For a very durable head that shines in loud environments, the Aquarian Force Ten Clear is an excellent drumhead choice. These heads will give you the sound you need to be heard, loud and clear, no matter how loud things get. Note: If you play with brushes, the Aquarian Force Ten Clear’s surface will not respond well. Take a look at the very similar Coated Aquarian Force Ten for a brush-friendly version. Aquarian Force Ten Clear drumheads are made for snare drums and toms, and are available in 8″ to 18″ sizes.